Has there been any talk of weird things going on out in the woods? any sacrificed animals around town? anything of that nature talked about etc. Wow, I am glad that people from the area are here. Cops running plates was a good idea. My idea was the liquor store, was there been anyone in there that was newish to the area ? There is a place in Elma called "the ponds" where all the kids go swimming. do mccleary kids also go over there, do you know? do you know if there is easy access from that road to the highway? hello Madibabe, welcome! so glad to have you here. do you know where this Jim Mullin Creek might be. It is said they searched that area 6 times. The assessors parcel they say is his does not correspond with the address they give of 220 sought 6th, and neither are any Mullin names listed at that address. I am not sure what is messed up, but somthing is. 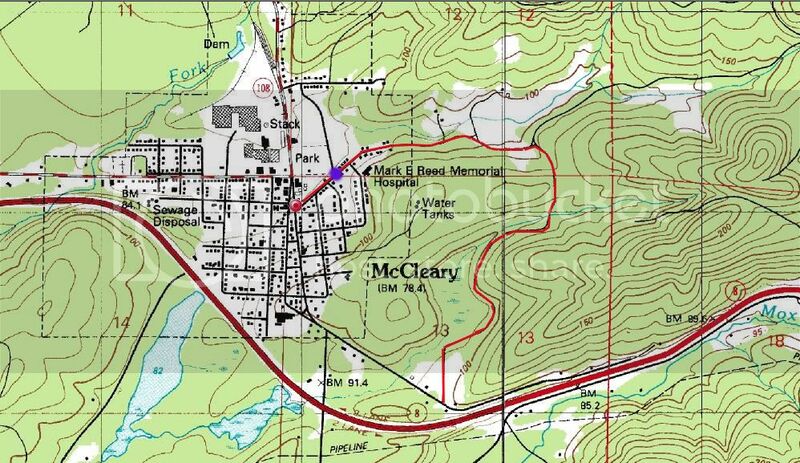 There is also no creek running through the parcel shown on the assessors map for the parcel said to be his. I am wondering if he has another parcel we are not finding. I would really like to know where Jim Mullin's creek is so we can see who lives around there etc, because they did not search that area 6 times for no reason, especially when there are so many other places they did not search at all. I am wondering if the dogs actually led them to that creek and they just are not saying so. I did find another address for jim mullin over by lake arrowhead. So that is why I was wondering about that area? is that the are where jim mullin creek is? or could it be that area up behind lindsey's house over by the water towers? there is a creek running through back there. Thank you Doubledecker! I have followed your posts and love the questions you come up with. I will fill you in as much as I can. Jim Mullin creek is what i will work on today. I will find and take photos if posable. I will get the gps location for you. I wander if the refer to it as Jim mullin creek because its on his property? I dont thing there is an officail Jim Mullin creek. Can you give me the link to his address at lake arrowhead? I have a friend that lives in Mccleary with a daughter thats the same age as Lindsey. They played to gether a few times but was later grounded from playing with lindsey due to the lack of perental supervision and her being out past dark, so I have been told. I will ask her if she knows of any creeks in Mccleary maybe the children freaquent. are there local "hangouts" where most of these kids go. Is there a dance in Elma where younger kids might go as well as the teens? Do they allow younger kids in the dance? and who sponsors these dances or shaparones(spelling) them. are there campgrounds aroud where people come to stay? Also,is this the Lora that posted yesterday? If so,do you know the name of the 13 year old girl who disappeared in Elma? Not that I know of. I know teens party and smoke pot on the log roads. I have heard of a place called circle pit before from the kids. Just a party spot deep in the woods. I can find out more from my kids and there friends about places in the woods. Welcome everyone! Madibabe thank you for the offer to check things out. Please be careful though. My laptop is giving me problems, the keys are not working, i have to peck type! BBL when at work to type, I will be reading. Tracygirl ~ Not sure if your computer is working right or not yet, but in the meantime, your Avatar is killing me.....HOW CUTE IS THAT?? Thank you, CBB sent my little monkey on vacation! , no work today,stuck with this darn computer! No long posts from me today! Welcome to all the new Monkeys! I will call it into the tip line and maybe the fbi will get the plates they ran that day. is there an adult in town that hangs with the kids at the party spot. I was reading recently about copycats,lately there has been some high profile cases, where any of these cases shown heavily on Tv there? What about Tori or Sandra, did they get air time? Oh wow, thanks, and WELCOME. Hello everyone, anything new happening today? Page created in 10.123 seconds with 20 queries.